Hollie M Kelley is a practicing artist who is drawn to minuscule details of nature, creating fragile and imaginary images that dance between natural history illustration and surreal portraiture. Her artworks are primarily made using pencil or ink as the basis. 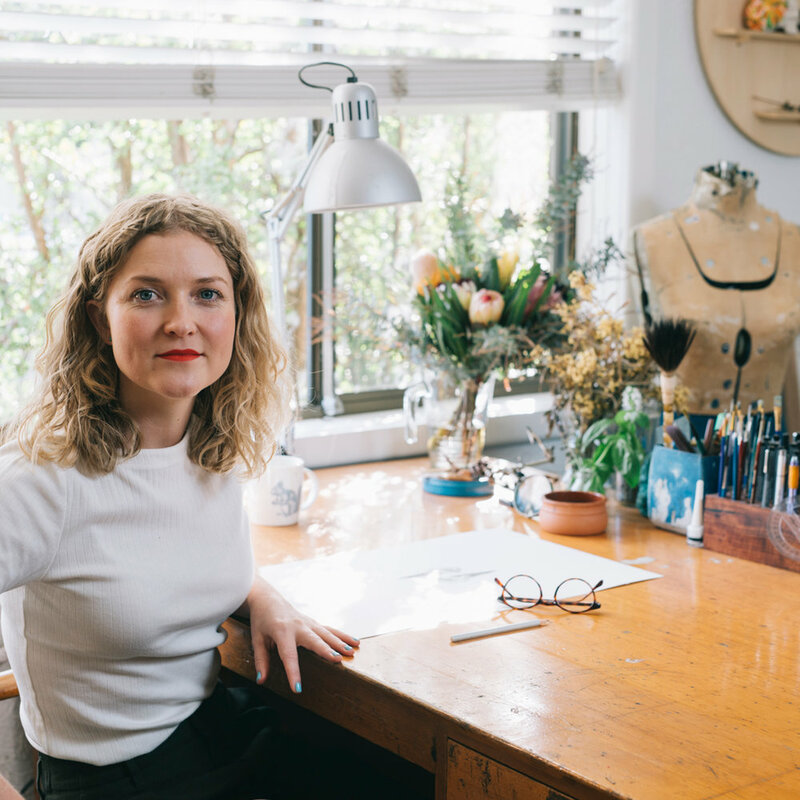 She finds inspiration in traditional natural history illustration, the natural world, Wunderkammer, pattern-making, the beauty of decay, and small details. Hollie is based in Melbourne, Victoria. She studied painting at RMIT, graduating with a Bachelor of Fine Arts in 2009.